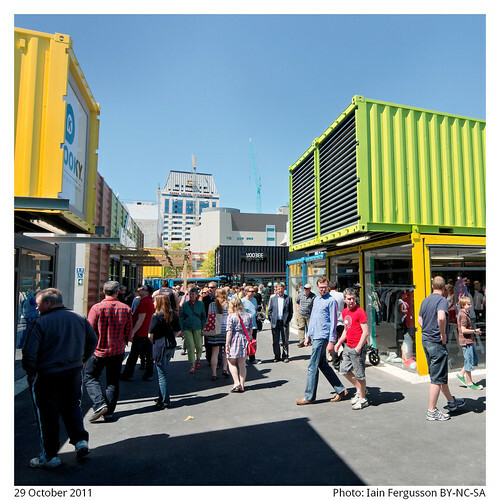 Restart: Photos from the temporary mall opening in Cashel street. Much of the central city was damaged beyond repair in the February 22nd earthquake and has been cordoned off while demolition of the damaged buildings took place. On Saturday 29th a temporary mall was completed and open to the public, in the location of the previous City Mall.